Good-byes are not always easy to say. As a small boy, my grandson Huntley Ballestero struggled with saying good-bye to those he loved. Especially when my wife and I were leaving after visiting his home, he would hide when the good-byes were being said and the hugs got passed around. He didn’t like saying good-bye. I tearfully remember my Alzheimer’s afflicted Daddy standing on the porch of his house in Fontana, California. Even with Mom’s prompting, he struggled to wave good-bye to me as I sat in my rental car ready to head back to the airport. In a weak sounding voice he haltingly said, “I’ll see… you… in the… rapture.” With tears drenching my face, I vowed to him that I would see him in the rapture! No final good-bye is easy! Words don’t seem to be able to say it all. Sometimes, death comes to our loved ones so quick there is not time to say good-bye. Other times, the good-byes become stretched out for several days or even a couple of weeks. And then there are the good-byes that unfold in slow motion. They go on unendingly. We stand by and watch as their body slowly succumbs to the ravages of disease. We are helpless to fix it for them and we grieve that we can’t make them better. Our hearts ache when we see the one we love, admire, trust and enjoy, fight so hard to live. It’s as if their body can’t keep pace with their will. 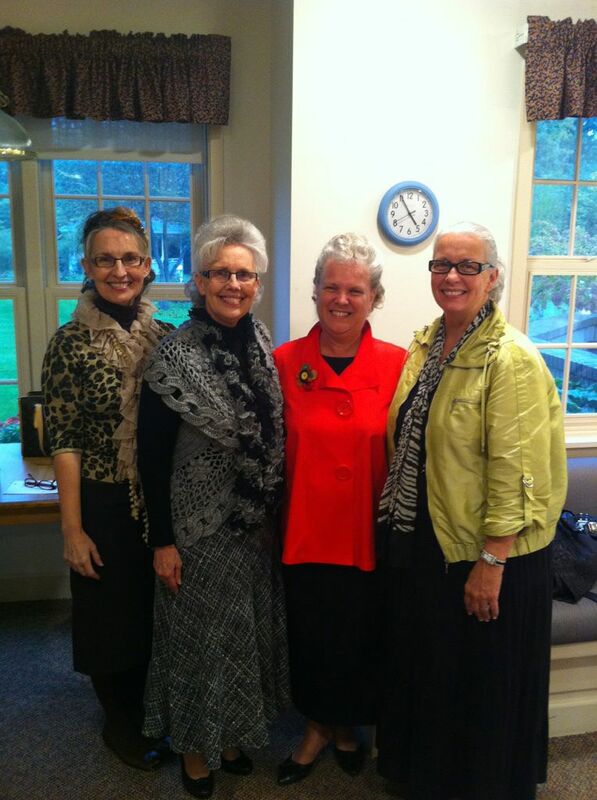 Such Has Been The Good-Bye To Our Beloved Michigan District Superintendent, Bro. Joseph Carpenter. The first time I heard the name, Joseph Carpenter, was in 1964. My wife-to-be informed me she was going to be a Bridesmaid in her cousin Victoria Jordan and Joe Carpenter’s wedding. When my wife and I married in 1965, some 5 months after their wedding, she asked Victoria Jordan Carpenter to be in our wedding. The first revival my wife and I preached after getting married was for Bro. Victor Jordan in Jackson, Michigan. Bro. Joseph Carpenter assisted his father-in-law, Bro. Jordan and was a tremendous blessing to him and the church there. Bro. Carpenter loved the work of God, he loved everything about church and he loved the Michigan Camp. All of us from Michigan have seen him work around the camp. He wasn’t afraid to roll up his sleeves and get dirty. He led by doing. Today my wife and I shed tears remembering our ‘cousin’, our friend, a great pastor, a tremendous preacher, and our beloved District Superintendent… Joseph D. Carpenter. For the last many months we have all viewed his will to live and his struggle with disease in person and on Facebook. He has been exceedingly brave. His wife and children have also been heroic in their support and comfort giving. The rest of us have tearfully watched and waited, praying, reading updates, and hoping against hope. And then as we held our collective breaths, we watched the man we love leave us. We were forced to say good-bye! Reading the sentiments of family and friends as their aching hearts have spilled out onto the printed page has comforted us. Sister Victoria Carpenter (Wife) “Even though my heart is hurting I am flooded with precious memories of my life with this awesome man. I am so blessed, so very blessed. I love him more than words can express. “With family and close friends tonight as we sit with my husband. Feeling the sweet peace of God in the room. 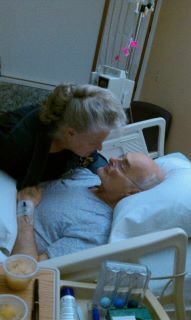 “Sitting here in the hospital with Joe and Angela. My husband is telling us stories of when his Mom and Grandmother came into the Christian Temple church in Jackson. His grandmother was healed of a Tumor and that was the beginning of their walk with God. So interesting!! “All the family was together tonight. Love my family so much. Good talks and lots of laughter. My husband had a much better day, still very weak. “Can’t keep a good man down. Sorting through mail. “Left my sweet husband resting tonight. Pray that he has a good night. “Bro. and Sis. Mooney came to visit my husband today. Joe came and then Jay, Angela and Kelsea came this evening. My husband was feeling much better when I left tonight, after having a rough day. “With my sweetheart. He is resting pretty good right now. Had a rough night, lots of pain, but I think they are getting it under control. Covet your prayers. Love you, my precious family and friends. 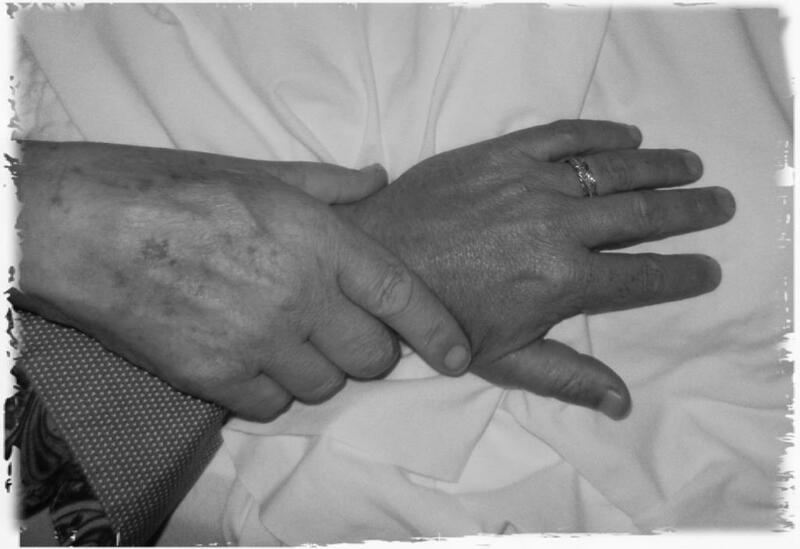 Joe Carpenter - Dad's hand will forever guide mine. I love you Dad. 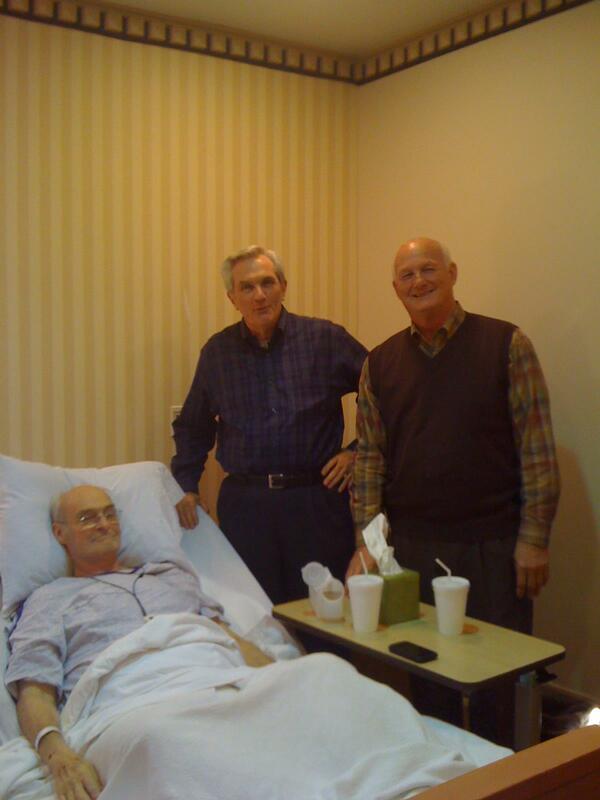 Pastor Joe Carpenter (Son) “Dad is resting…. Here with mom, Victoria Jordan Carpenter and my wonderful wife, Sherrie Young Carpenter. I wouldn’t trade these last few days for any thing in the world. “Reminiscing funny stories about Dad that only the family know… just in case you were wondering he has a not so serious side we get to see… precious memories. With Victoria Jordan Carpenter, Joshua Carpenter, Sherrie Young Carpenter. “Everyone is sleeping but me, just watching my Dad… I am overwhelmed with emotions… beyond explanation… JESUS! 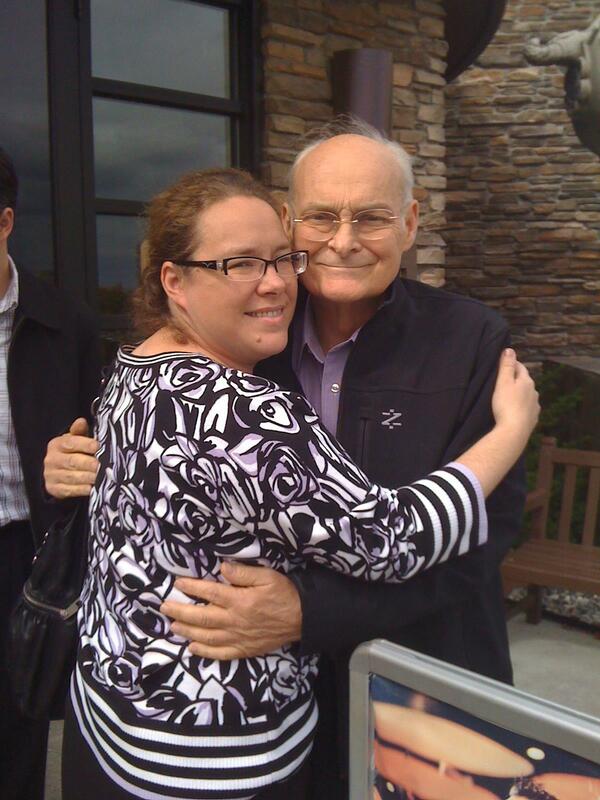 “Dad is still with us but leaning more toward his heavenly home. “Well, Dads ticket home was not for yesterday. He has spent a lifetime planning for this trip; only God knows the date so we wait patiently on Him. 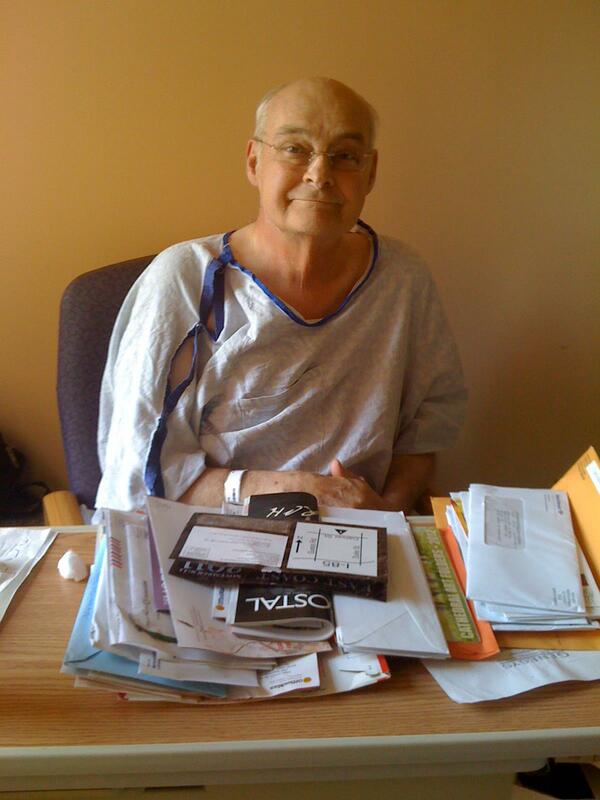 “Dad is still fighting the fight…..spending time with mom, Angela and Jay, Nate and Lisa Nix, and Bro and Sis Henson. What sweet friends to stay up with us and Dad all night. “Life will never be the same… Dad has gone to his reward. Victoria Jordan Carpenter - Can't keep a good man down. Sorting through mail. “Bishop Carpenter began his ministry in the early 60’s, teaching Sunday School and leading the Youth Ministry of Christian Temple Church in Jackson, Michigan. He was elected as Section 3 Youth Director in 1967, the same year he received his ministerial credentials. After many years of serving as the Assistant Pastor in Jackson he was called to Mount Morris to pastor. Reverend Carpenter was the Senior Pastor of First Apostolic Church of Mount Morris from November of 1981 until May of 2011. In April of 2011 he was elected as Bishop of FAC. 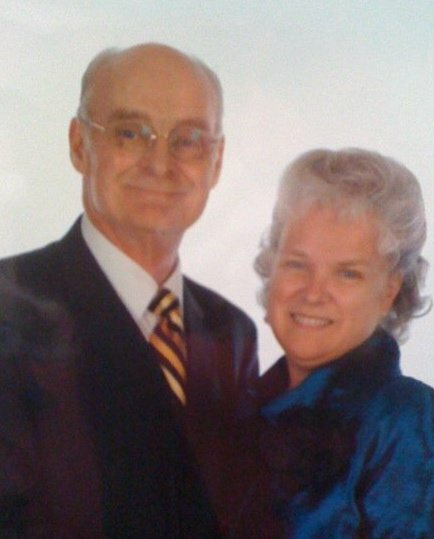 As pastor of First Apostolic he started daughter works in Imlay City and Kentwood, Michigan. He has served the district in numerous capacities over the past 43 years that he has held credentials with the United Pentecostal Church, International. Pastor Carpenter has ministered in several countries, including The Philippines, Ethiopia, Estonia, Italy, and has encouraged and supported congregations and missionaries around the world. In May of 2000 he was elected as the District Superintendent. Reverend Carpenter was a member of the General Board of the UPCI and also a board member of the United Pentecostal Foundation. Victoria Jordan Carpenter - Angela and her Dad. Angela Jones (Daughter) ”I never had to look far for a beautiful example of marriage… my parents (Victoria Jordan Carpenter and Joseph D Carpenter) lived it out before me! “Spending precious moments with my daddy, Joseph D Carpenter! Love him so very much! I’m so blessed! Sherrie Young Carpenter (Daughter In Law) “You have been the best wife dad could have ever asked for…. Love you! Victoria Jordan Carpenter - Bro. & Sis. Mooney came back up today to see my husband. Love these people. “You have always shown such Love and Respect!! God gives Peace and carry’s us. Your Love and Devotion is such a strength to your family. Love You and Praying. I Remember when we all got married the same year five months apart I was in your Wedding You were in Mine. There have been many Loving and Happy Years of Memories. Love You!! 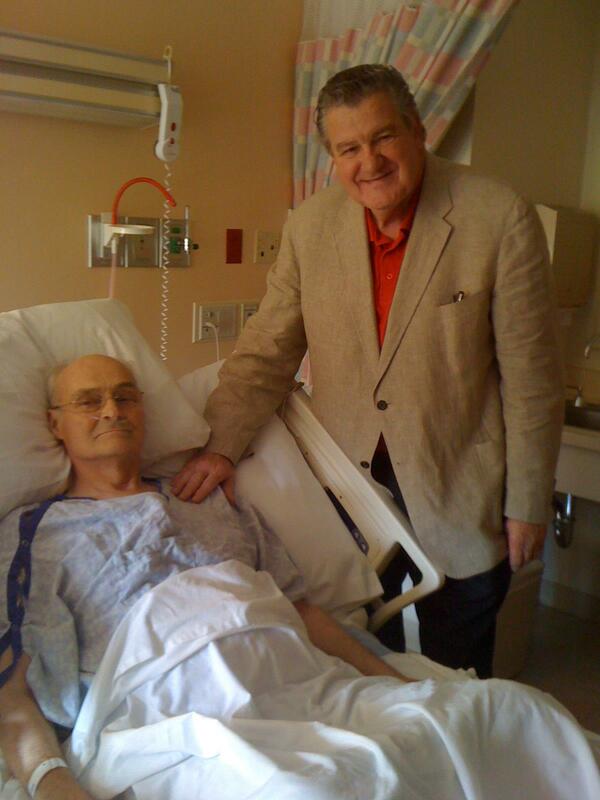 Victoria Jordan Carpenter - My brother, Mark came up to the hospital to visit with Joe. 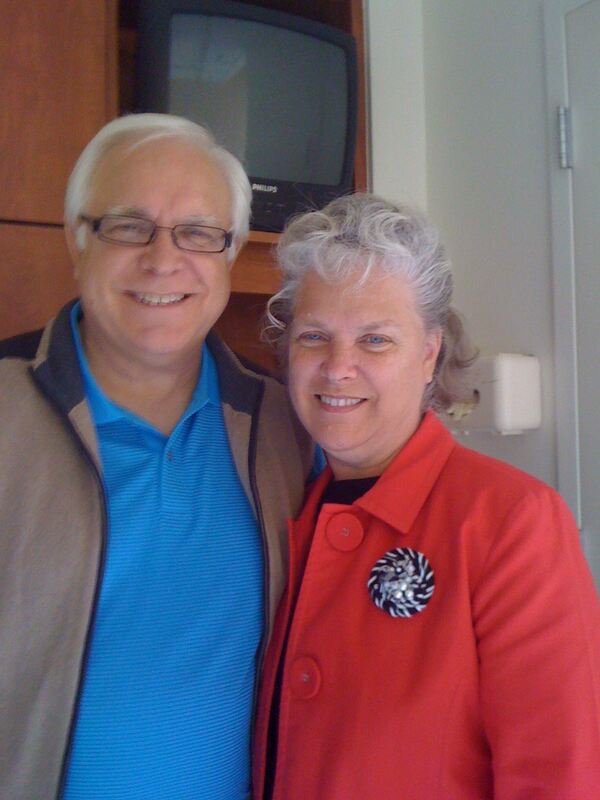 Sara Starr Copple “We Love you…Tom & I and our church has been keeping the prayers ongoing for your family! “We love you very much… my words fail me…such a loss for us all… you all are such a close~ beautiful family who has brightened the world around you!!! Love my cousins dearly! Victoria Jordan Carpenter - Jim Fielder and Rodney Clark came to see Joe. Wonderful friends. Mark Hopper “My Special Prayer this morning is: God Bring comfort to my Superintendent Joseph D Carpenter and His family. He has been such an incredible leader in the Michigan District. He has set the bar very high in faithfulness and kindness that only I can strive to reach. He has always displayed the Character of a True Christian. I thank God For Him. Bring peace and assurance today to Vicki, Joe, Sherrie, Angela, and Jay, knowing that God is always in control. We love you Bishop. Wanda Fielder “I woke up several times in the night praying for your family. May God surround with His presence! We are with you in thought and prayer. So glad we got to be with you just two days ago and cherish the moment. “Sent prayers your way this morning. 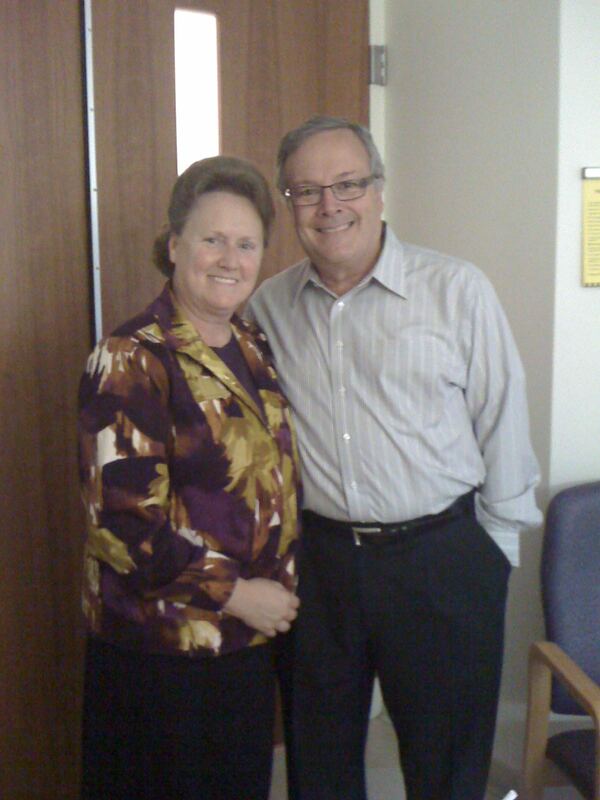 Victoria Jordan Carpenter - Bob and Diane Stroup surprised us with a visit to the hospital tonight. Betty Strawcutter “The first thing I do in the morning and the last thing I do at night is read your posts Joe. Sometimes there are no words to communicate the deep feelings of the heart but we your friends feel the need to try, your dad has always represented himself, his family, his church and his God with integrity, kindness and love. What he has given in life is now echoing back from those who know him…we care, we pray, we surround him with our thoughts and love. Holding you up in special prayer today my friend, God continue to strengthen you. Your family is loved by the Strawcutters. “I’m feeling numb right now – my heart hurts for all of you. It’s never easy. As we all can see by these comments, it’s not easy for us to see our loved ones go from us. Even though we know their suffering is over and they are in the presence of the Lord. Still, our hearts ache, our eyes fill with tears, and our arms will never be full again. But, we have this one consolation… our “Good-bye” was not final! « Tell Him You’re Stupid! Precious. Beautifully written, Brother Ballestero. Seems like an inordinate amount of good-byes over the past several months. Thank you, Bro Ballestero, for such a beautiful tribute to Rev Joseph D Carpenter and his family. Awesome compilation to a faithful man of God! Words cannot describe the value of such men! We all will be the poorer for our loss but heaven will be a little richer in his gain. God bless the Carpenter family, immediate and extended. I pray the peace of God upon all. Thank you Bro Ballestero for posting all this. My heart is tearful as we say goodbye to this great man of God, but I’m glad I know who our maker is, that calms the storms and eases our heavy hearts! God be with all of you. In Jesus Name! We, the Ayala/Colegroves share in in your grief & joy and know one day we will see him again! With tender love, Bro & Sis. Aaron Ayala of Texas & Bro & Sis. John M. Colegrove of the Michigan District! God Bless! Choking up as I read this blog. I hate goodbyes. It seems like the hurt will go on forever, but eventually you can recall the cute, funny memories, the sweet, tender moments that will never be forgotten. Thankful for the time we have with each other… and cherish the moment. Thanks so much Marty for this writing. It has been a sad, drawn-out goodbye, but when you think about it deeply, one would have to admit that we all were able to say something. The internet has made our lives closer knit together than ever! We all can express our feelings, and it is precious! God Bless the Carpenter family! It’s not “good-bye”, but “until we meet again”. This was beautifully put! My husband and I had the utmost respect for this true man of God! It is not easy to say Good-bye, so we won’t… we’ll see you again Bishop Carpenter! I wept as I read. Thank you Bro Ballestero for painting such a word picture. Tears filled my eyes as I read this so very beautifully said article! I really, really dislike good-byes, but you are right! This one is not final! We will meet him over there! What a glorious day that will be! This Beautiful Tribute touched me deeply!!! An absolutely amazing Family!!! Great Man of God. Our Love and Prayers to the Family. Words escape me at a time such as this. Pastor and Sister Carpenter have always been there for me and my family in good times and in bad. My heart felt condolences go out to his family. If there was ever a family so full of love for the Lord and for people in general…The carpenter family is it. May the Lord give you Peace at this time in your lives. The Peace of knowing that Your Husband and Father went home to be with His Father. 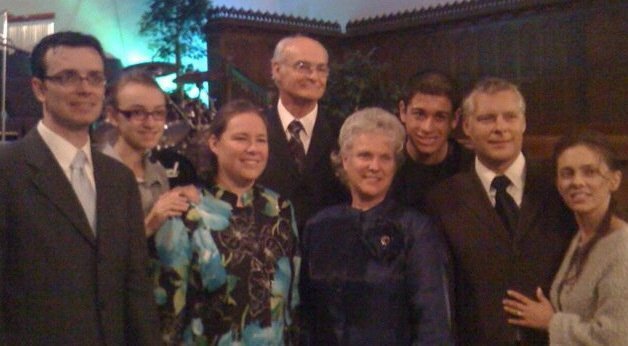 My heart aches for dear Sis Carpenter & the whole family. My thoughts & prayers have been with them & I hope they know how much I love them. Thank you for writing this beautiful tribute to a Godly man!! I don’t even know where to begin. My pastor for 23 years, a friend for 26 Bro. Carpenter touched my life like no one else. I remember the talks about salvation as a young teenager and the day he rejoiced with me on that summer day at the campground when I ran to him to inform him that I had just received the Holy Ghost. He gave me one of the biggest hugs of my life and I will never forget the look on his face, he was so proud of me and excited that I had finally pushed through. This great man buried me in the wonderful name of Jesus like a father giving away a bride, with excitement, love and a hope that I would live my life reflecting the good values taught to me over the years but knowing that no one could protect me like Jesus. What a beautiful and gracious tribute to Bro and Sis Carpenter. I was privileged to meet them a few years ago – and we have been praying for this family daily. In times like these… its so good to know the Savior and to have the dear and wonderful family of God by our side. I would not trade those last months by my dad’s bedside for any amount of money. Sometimes God allows us a chance to say a proper good-bye… while at the same time granting us the grace to let go. Thank you for this beautiful goodbye… always enjoy your wisdom and way with words.